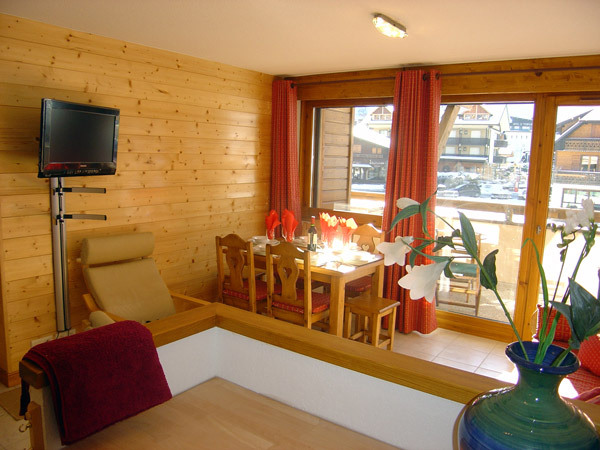 Apartment Le Slalom 14 in Morzine is modern apartment in the very centre of the town. Le Slalom apartment 14 is a luxury winter and summer self-catering apartment, perfect for your skiing and mountain holidays in Morzine. 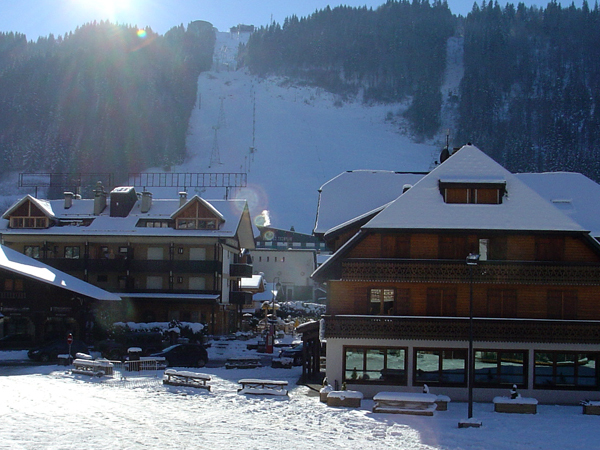 Le Slalom 14 sleeps 4-6 people (or 8-10 people combined with apartment Slalom 11 opposite), and is ideally situated just along from the tourist office, a few minutes walk from the Pleney and Super-Morzine tele-cabins. Le Slalom 14 is a very comfortable, two-bedroom apartment with a good-sized living/dining area, kitchen, and a bath/shower room with separate WC. This tastefully appointed apartment has a very large, sunny, south-west facing balcony that overlooks the new winter ice-rink. 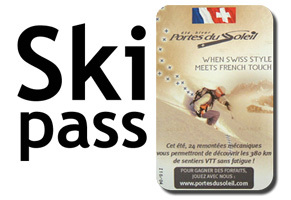 It offers excellent views to the Nyon alpine peak and to the Pleney pistes. It is perfectly placed to watch the ESF ski instructors' weekly torch-lit descent and the fireworks displays. There's a lift from ground and parking levels to the apartment. 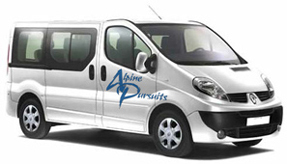 It's superbly positioned for the Super-Morzine and the Pleney cable cars, and right on the doorstep for the many excellent shops, bars and restaurants of this popular alpine resort town. Sleeping accommodation is ideal for 4 people but is able to sleep 6 (in beds that can be configured for couples, a family or singles). Bedroom 1 has a double/twin bed, bedroom 2 has bunks, and there is a double/twin bed-settee in the main living area. 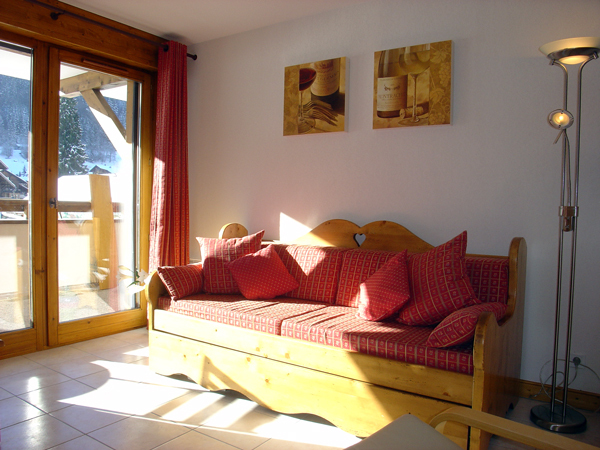 Both bedrooms offer attractive views towards the Pleney pistes.